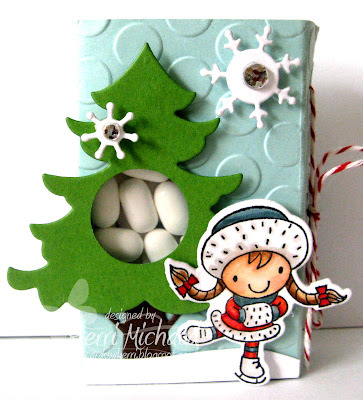 Your Next Stamp Fun Friday and More! I made up my own template by measuring the length of the Tic Tac box and then wrapping paper around it and marking where to score my lines. 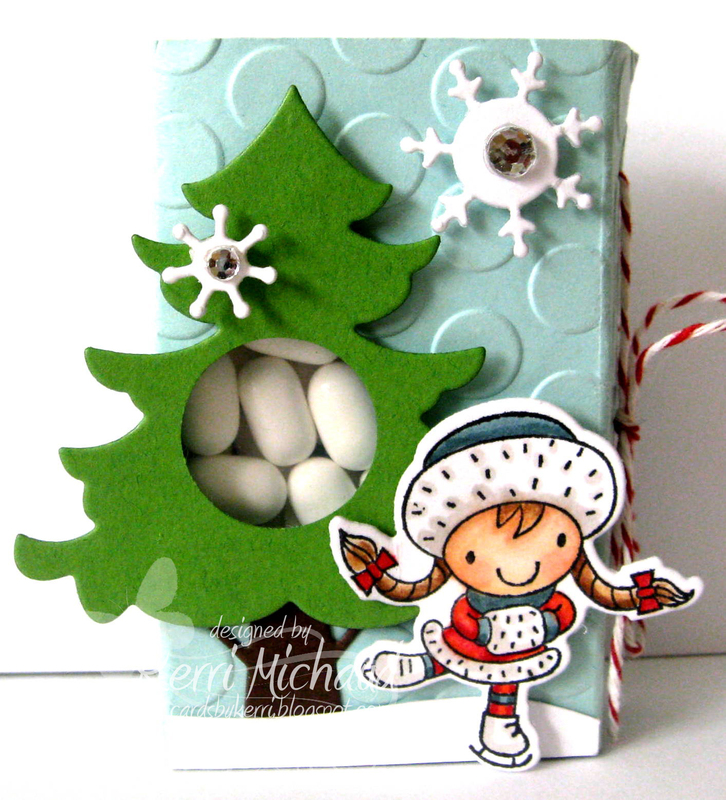 I then added some embossed dots and decorated away with some adorable YNS stamps and dies! For my first cover I used this super sweet Mini Ellie Loves to Skate with the coordinating Die as well as one of the Tree Trio Dies which I LOVE! For my second cover I used one of my favorite images released this winter called Winter Smiles Robin along with a snowflake die from YNS Whatnots Seasons Set One. 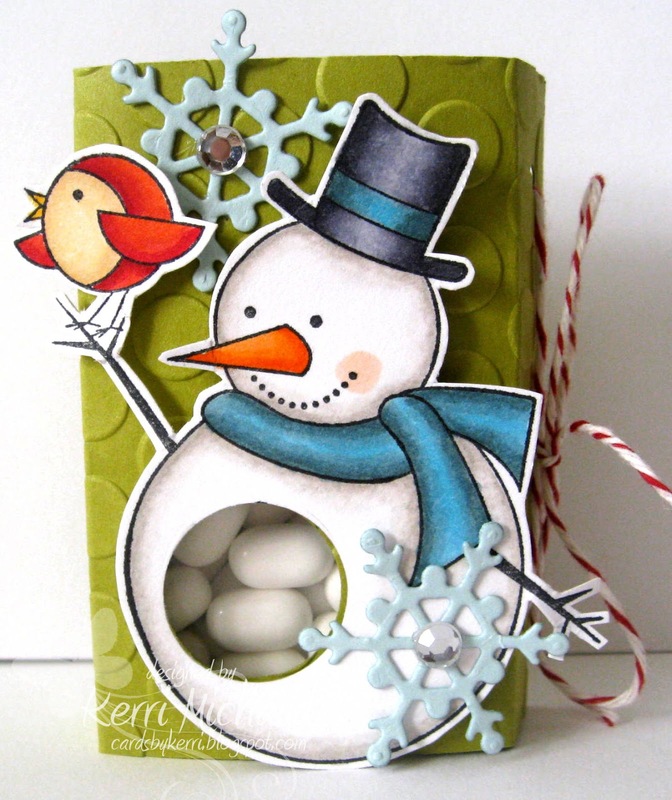 I'm going to stick these in our advent calendar for my kiddos today:) My youngest especially just loves Tic Tacs! 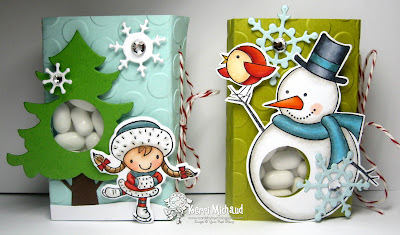 Make sure you check out the Your Next Stamp Blog to see more fun projects today! I also wanted to share a tag I made (I actually made 12 of these) for teacher gifts and coaches gifts. I used THIS gorgeous poinsettia that I found in the Silhouette Online Store by Lori Whitlock. The base of the tag was cut with the PTI Tag Sale #4 Die and I embossed the cream panel with the PTI Woodgrain Impression Plate. 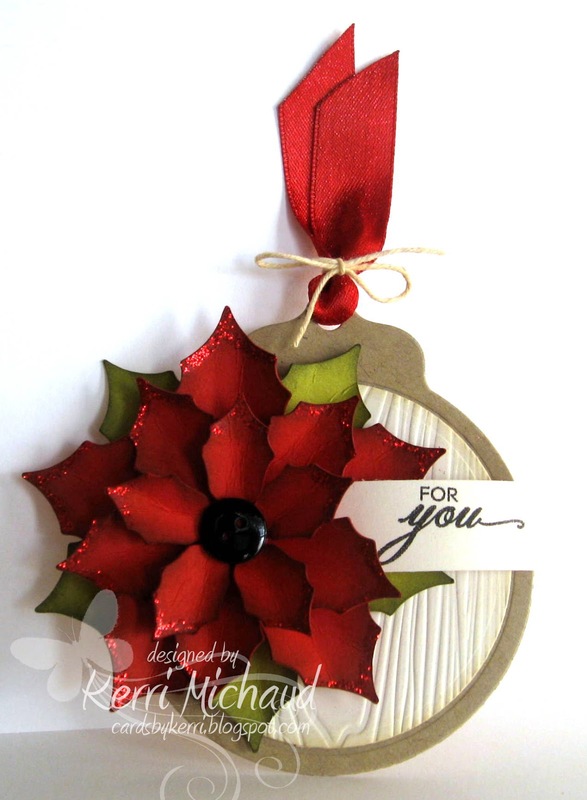 I cut the poinsettia with PTI Pure Poppy cs and sponged the edges with PTI Scarlet Jewel. The leaves were cut with SU Old Olive and sponged with SU Always Artichoke. The sentiment came from the PTI set Bells & Boughs. I found these really cool baskets at a fun flea market type store and filled them with some goodies for my son's teachers. Some yummy Godiva chocolates, a sparkly ornament, 3 handmade tags, and some peppermint soap. I hope they like them! That's it for me today! I have a couple other projects to share if I can find the time! We are hosting Christmas at our house this year and I have A LOT of cleaning and organizing to do! Thank you so much for stopping by and have a fabulous Friday! OMGoodness...I haven't seen the tic tac covers anywhere and these are SOOO adorable!! 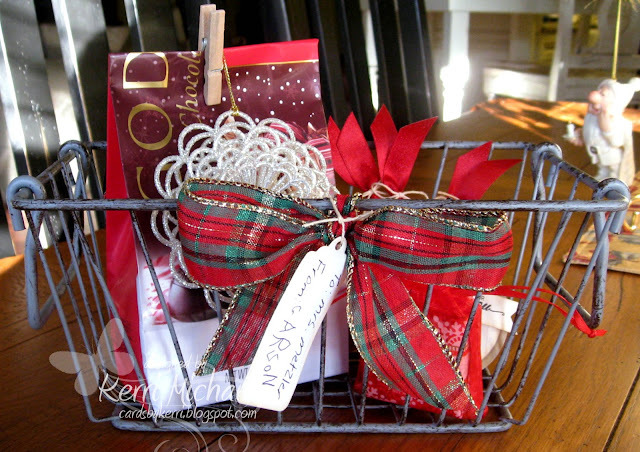 Love the sweet gift basket and your poinsettia tag is gorgeous! Merry Christmas to you and your family...have a blessed time! oh I so love these Kerri! 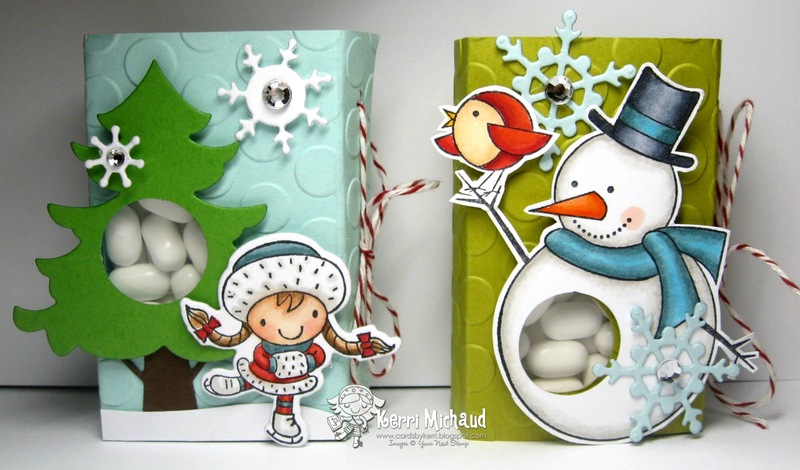 Cute Tic Tac covers! Pretty poinsettia tag too!